Dubai, UAE, 25th December 2017: Al Shirawi FM, the UAE’s leading single-source provider of Integrated Facilities Management, capped off 2017 on a strong note with the winning of the IFM contract of Prism Tower, located in Business Bay, Dubai. Al Shirawi FM will provide MEP, Housekeeping and Security Services for the commercial property, which boasts a total built-up area of 85,000 square meters. This is the fourth property that the company will be managing in this area, in addition to Volante, Windsor Manor and 118 Luxury Tower. In the last three months of 2017, the facilities company won a spate of new contracts, including the re-tender of Shindagha Tunnel facilities maintenance contract. Airport Tunnel and Rashid Hospital Tunnel are the other two key assets of RTA that are managed by Al Shirawi FM. 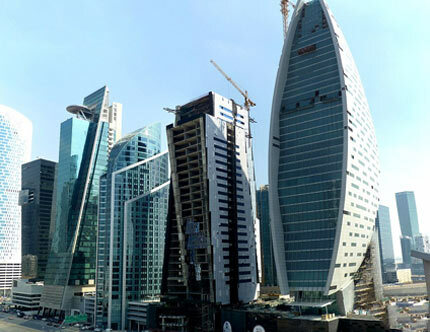 Al Shirawi Group of Companies, operating under the legal name of Oasis Investment Company, is a UAE-headquartered conglomerate with operations across the GCC region. The Group consists of 34 companies operating across nine business areas: Printing & Packaging, Oil & Gas, Logistics, Heavy Equipment, Manufacturing, Electronics, Engineering Services, Trading and Online Media & Publishing. Founded in 1971, the Group today employs over 10,000 employees.